Of course you work for your money. The question is, does your money work for you? You know you owe it to yourself and your family to make the best possible fiscal decisions. So why aren't you managing your money better? Perhaps you think that you don't have enough extra cash to bother learning more about money management (a common myth). Or maybe phrases such as "mutual funds", "long-term bonds", "annuities", and "whole life vs. term" make your head spin. For all those people who don't know the difference between the commodities market and the supermarket, here is expert and trustworthy advice from a financial counselor and lecturer who speaks your language. 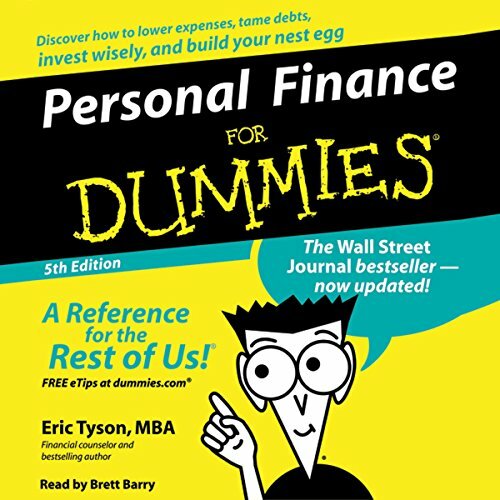 Cutting through the jungle of statistic complexity, Personal Finance for Dummies shows you how to make easy work of your own finances, no matter what your income or experience level. Greater return for your money, with less anxiety - that's a bargain if we ever heard one. 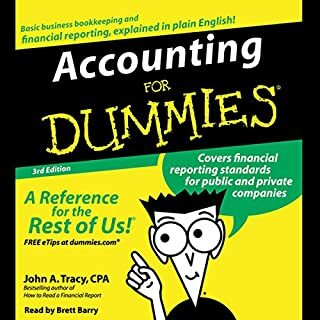 I wanted something more advanced but good read for beginners in my opinion. Would recommend to someone younger and inexperienced. Love Eric Tysons books. Need an updated version edition when available. I'm monitoring the store to see when one becomes available. This book was "OK", but not "great" in my opinion... 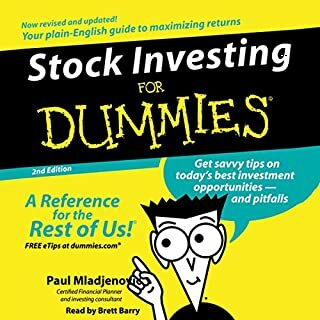 I was looking for more info on investing and what percentage of income should typically go to what categories, etc. This was more of a kick in the pants about not using "bad" forms of credit (what Tyson considers "bad" credit is anything used for consumer goods." and saving for the future. I listened to the Abridged version. I am not sure what all is covered in the Unabridged one, but this one seemed to be missing some important details. For me, the most important thing is that it really should be updated with more accurate details for today's financial world. 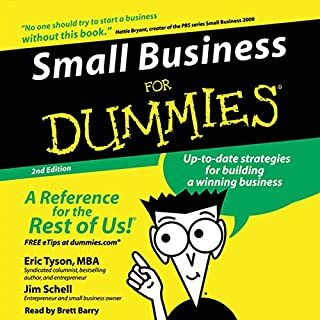 Since this was written in 2006, it includes NOTHING about the housing bubble and how that might be affecting people's finances (and how to help with that or what to consider in regards to that), the 2009 Credit Card Act put in place by President Obama, the PPACA/ACA implemented in 2010, the huge recession we have been in for 8 years now, the many way that the way FICO Scores are calculated have changed between 2006 and 2015, and much much more! How much and what types of insurance is needed is glazed over... no details what so ever... just, "See a professional." Also, he seemed to recommend going into bankruptcy as a way to get out of debt and even indicated that the creditors deserved to be stuck with the unpaid balances since they are so profitable. Also, he had many points on why 401Ks are good:No Taxes on amounts contributed due to pre-tax contributions, Company match = free money, etc. but glazed over the benefits of a Roth IRA: No tax on GROWTH of the money!! I consider my self fairly new at learning about personal finance and feel this was one of the most important things I ever learned about retirement plans! 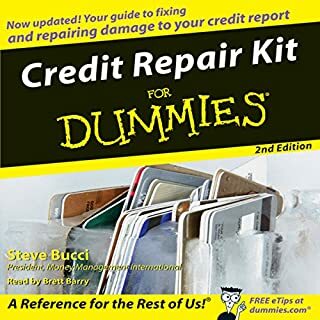 Additionally, he recommends closing all but one of your credit cards, which will make your credit score drop drastically, opening and closing credit cards quickly, which will drop your credit score, and provides many other recommendations that will make your credit score drop. Granted, you should use credit on as few things as possible and only in ways that will help increase your net worth, but when you need credit you need a good credit score to get a good interest rate! 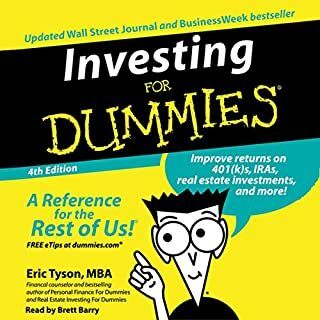 This book did have some good advice, but in my opinion, don't use this as the "Bible of Personal Finance." It is best to get as much info from as many sources as possible and make your best informed decision for your personal situation! Happy reading! 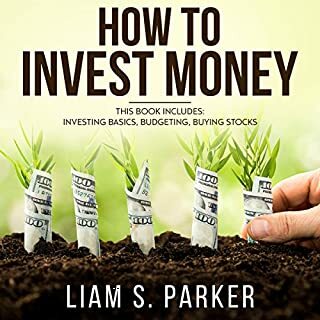 This book does a very nice job of covering all of the basics that you'll need to know to steer you in the right direction for your personal finances. Good information re overall personal finances and basic overview of investments. Good information re overall personal finances and basic overview of investments. I will read more of his books.